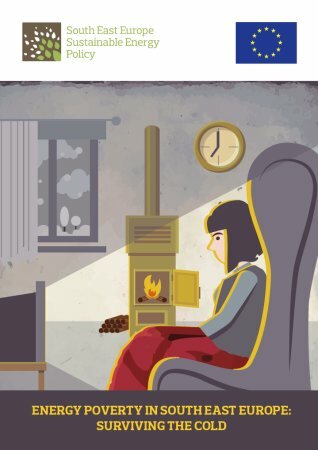 This report gives a glimpse into the everyday life of those who are severely affected by adverse impacts of living in energy poverty throughout South East Europe, while trying to provide guidance for possible paths to solving the problem. Tools and mechanisms that can provide immediate and much needed assistance for many families are also discussed. It is principally political will - the willingness to act and make a difference - that is lacking. The first part of the report ("Context", "Introduction") explains what is energy poverty and energy vulnerability and what are the specificities of the SEE region. The second part of the report provides insights into everyday life of the energy poor in the SEE region, based on findings of field visits undertaken in all seven countries. This is followed by a discussion of adverse impacts of energy poverty - which are the most common effects of living in energy poverty and what the main causes are. The final part of the report ("Getting out of the dark", "Recommendations") is focused on possible means and mechanisms to prevent and alleviate energy poverty in the SEE region.